Made by Tara Cafiero and Peter Hill of Pink Cloud Design in Sharon, Connecticut. 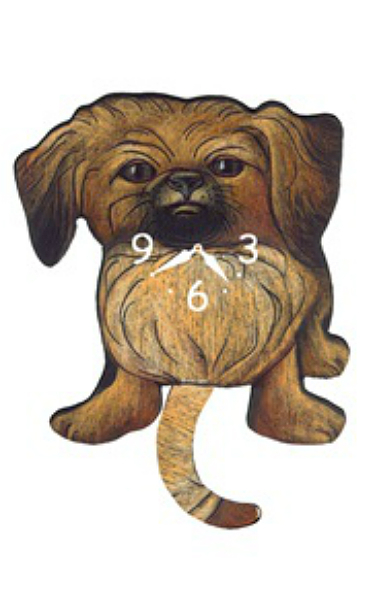 This Pekingese hangs proudly on the wall and measures about 9" tall, including the swinging pendulum tail. Operates on a single AA battery (included).